Chief Minister Jai Ram Thakur said on Tuesday that Himachal Pradesh had been conferred upon three Awards under different categories by the Ministry of Rural Development for best performance under PMGSY during 2017-18. Yet another feather in the cap of Himachal Pradesh, the state has bagged three awards for best performance in Pradhan Mantri Gram Sadak Yojna (PMGSY). Chief Minister Jai Ram Thakur said on Tuesday that Himachal Pradesh had been conferred upon three Awards under different categories by the Ministry of Rural Development for best performance under PMGSY during 2017- 18. Additional Chief Secretary, PWD Manisha Nanda and PMGSY Chief Engineer, AK Abrol received the awards on behalf of state government from Union Rural Development minister Narendra Singh Tomar at New Delhi on Tuesday. He informed that state had been awarded for best overall performance in terms of quality during 2017-18 and had also been adjudged among top three ranks in maximum construction of roads and maximum construction of roads in length with green technology under PMGSY during 2017-18. The CM said that state had over achieved the target of construction of 1700 kms roads set by Government of India and 1773 km roads had been constructed in the state thereby providing connectivity to habitations under PMGSY. He added that 72 km roads have been constructed in green technology. 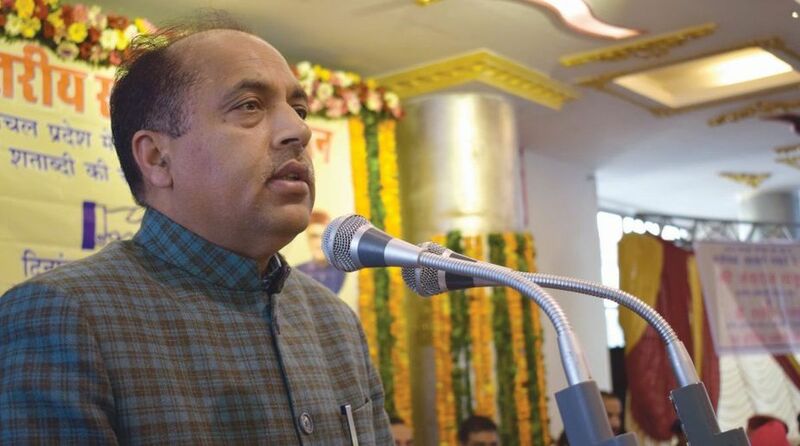 Jai Ram Thakur said that since the state had over achieved the target during 2017-18, the target had been further raised from 1700 to 2400 km this year which was a great achievement for the state and public works department was geared up to perform best this year also. He said that 1214 new road length was constructed to provide connectivity to 59 habitations having population 1000 plus 12 habitations of population between 500 to 999 and 43 habitations having population between 249 to 500. In addition to this, 18 bridges had also been constructed, he added. Thakur said that PMGSY was playing a significant role in strengthening road connectivity in rural areas and it had special importance for a hill state like HP where roads were the main mode of connectivity. The CM said that HP ranked top in India Today’s rankings in 2017 for demonstrating capacity to build roads in tough terrain. He congratulated the PWD department for good performance and hoped that this would continue in future also.